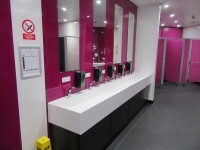 Services / facilities within the building include a Changing Places facility, a Large print 'Access Assistance' guide available from reception, and an Infrared system for visitors with a compatible hearing-aid system. A Visually Impaired large print script is also available of the tour. The bean mobile on the Cadabra ride has also been adapted for wheelchair use. 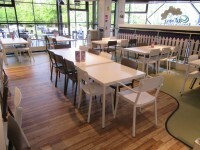 Services / facilities within the grounds include Wheelchair friendly children's play area. 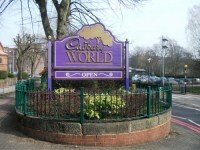 Opening times vary according to the time of year. 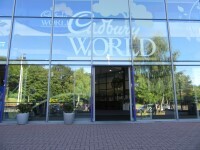 Please contact Cadbury World for further information. The nearest mainline station is Bournville. 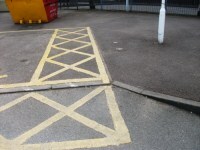 The dimensions of the Blue Badge parking bay(s) are 360cm x 610cm (11ft 10in x 20ft). The nearest Blue Badge bay is 22m (24yd 2in) from the main entrance. 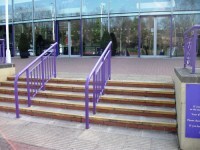 The ramp/slope is located to either side of the main entrance. 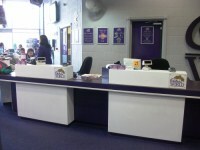 The reception desk is 15m (16yd) from the main entrance. There are some easy to moderate slopes on the walkways. 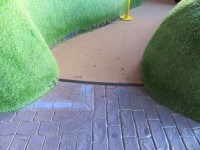 The walkways have slightly uneven surfaces in places. 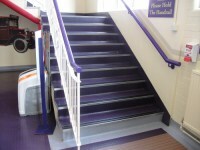 The floors which are accessible by stairs are 1-2. 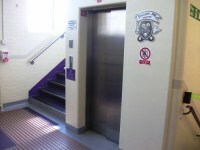 The lift is located just beyond the theatres. 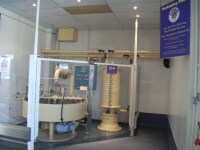 The lift is 125m (137yd) from main entrance. 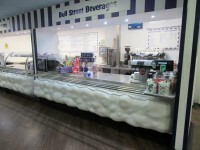 You are on Restaurant Bar Internal (The Cadbury Café). Skip to the next section. 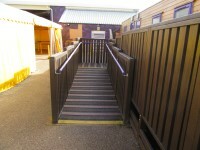 There are moderate ramps (widths 102cm and 154cm) for access to the raised part of the seating area. 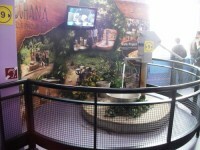 You are on Theatre (4D cinema). Skip to the next section. 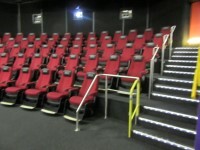 Designated seating is located at each end of the first row. 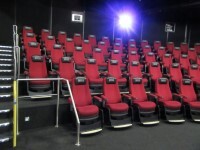 Companions sit on the 4D cinema seats next to the designated wheelchair spaces. 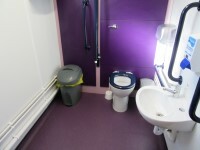 It is 30m (32yd 2ft) from the designated seating area to the nearest accessible toilet. To borrow a wheelchair,please ask at reception. Static (non-moving) chairs are available. 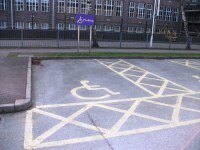 To borrow the wheelchair, please ask at main reception. 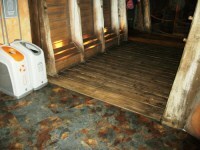 The dimensions of the accessible toilet are 200cm x 140cm (6ft 7in x 4ft 7in). The height of the hand dryer is 93cm (3ft 1in). You are on Changing Places (Ground Floor). Skip to the next section. 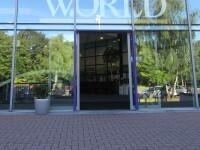 The facility is located main entrance. 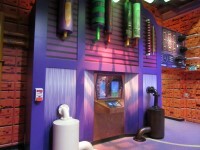 The facility is approximately 35m (38yd 10in) from the main entrance. 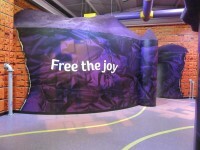 The dimensions of the facility are 223cm x 363cm (7ft 4in x 11ft 11in). The length of the facility changing bench is 186cm (6ft 1in). The transfer space on the left as you face the toilet is 239cm (7ft 10in). The transfer space on the right as you face the toilet is 96cm (3ft 2in). As you face the wash basin, the wall mounted grab rails are on the left. 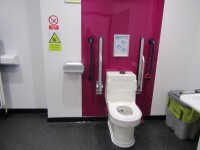 This accessible toilet is located on the second floor, to the left as you exit the lift. 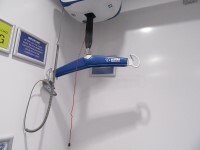 The height of the hand dryer is 126cm (4ft 2in). The height of the toilet roll holder is 119cm (3ft 11in). You are on Accessible Toilet (Outside Right). Skip to the next section. 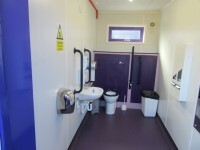 The dimensions of the accessible toilet are 147cm x 310cm (4ft 10in x 10ft 2in). The height of the toilet seat above floor level is 60cm (1ft 12in). 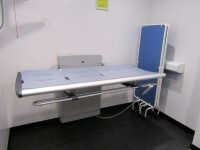 The height of the baby change table once extended is 81cm (2ft 8in). There is an additional wash basin beside the baby change table. 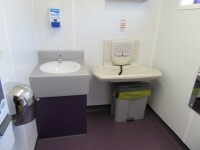 The sink is 86cm high, there is also a handdryer which is 76cm high and the mirror is 56cm from the floor. This space measures 163cm width by 283cm in length. You are on Accessible Toilet (Outside Left). Skip to the next section. 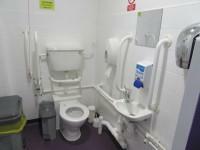 The dimensions of the accessible toilet are 163cm x 283cm (5ft 4in x 9ft 3in). The height of the toilet seat above floor level is 56cm (1ft 10in). You are on Level Change (Outside Right and Left Accessible Toilets). Skip to the next section. 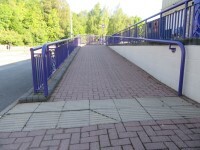 The width of the ramp/slope is 96cm (3ft 2in). The male toilet facilities that were surveyed are located in the reception area. The male toilet(s) is/are approximately 36m (39yd 1ft) from the main entrance. Baby change facilities are located next to the toilets. Additional standard toilets are located just beyond the theatres and also on the second floor. 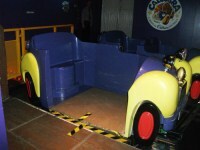 The photograph shows the wheelchair accessible car on the Cadabra Ride.